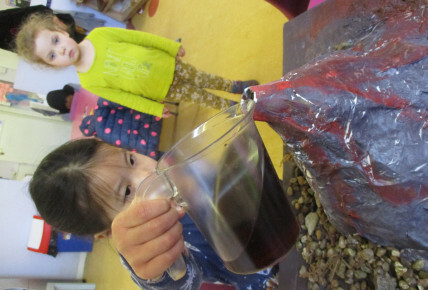 During science week pre-school children at Leicester, Blaby took part in a group activity to create a volcano and to watch this erupt using vinegar, bicarbonate of soda and food colouring. 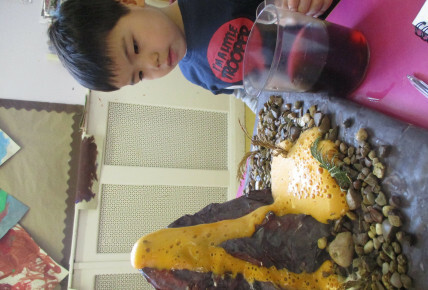 The child were so engaged in this activity that staff asked parents if they would like to create a volcano with their child and bring in for them to explode!! 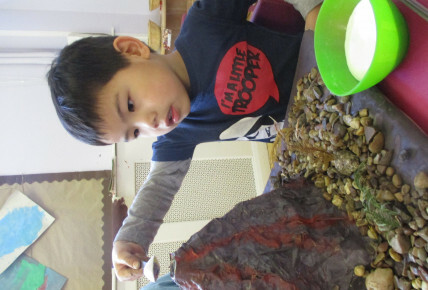 Children and parents have been very busy and created some amazing volcanoes, some complete with dinosaurs. 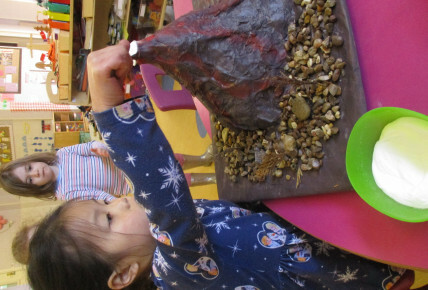 Today the preschoolers have started to erupt their volcanoes. Awe and wonder is seen in abundance as the lava flows freely!! 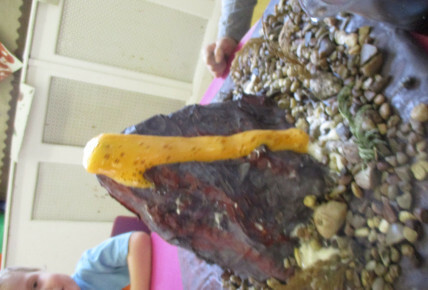 Some of the comments we have heard include "lava comes out the top and goes down there" "smoke comes out at first" "it's going out the top, whoa!!" 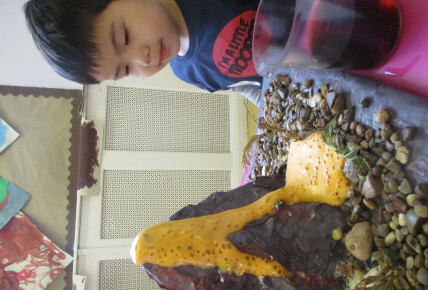 "wow, its bubbling out, to coming to me" It is safe to say this is one activity that is going to be spoken about alot!